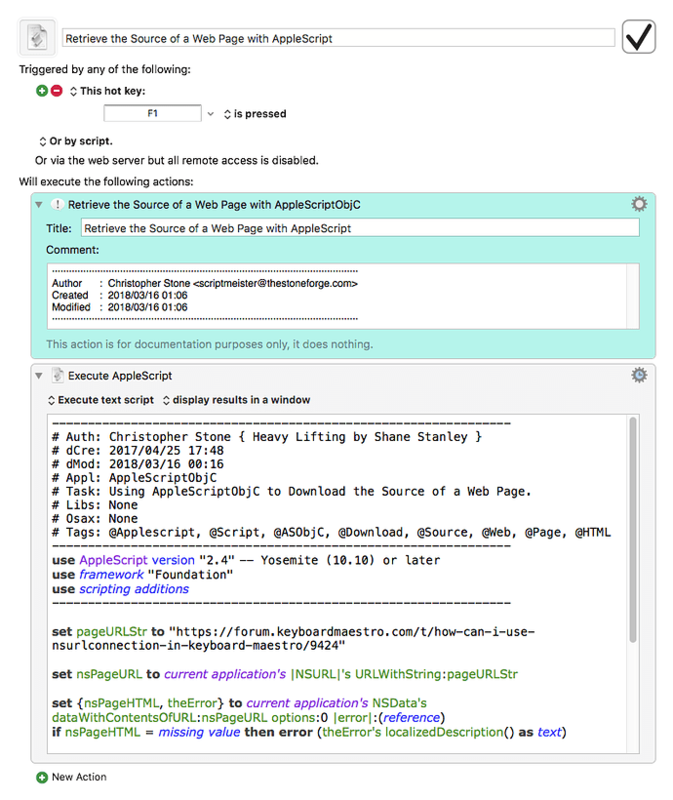 A very common automation task is retrieving the source of a web page and mining it for information. To do that we have to first acquire the source of the page, and there are several ways of doing this using Keyboard Maestro. 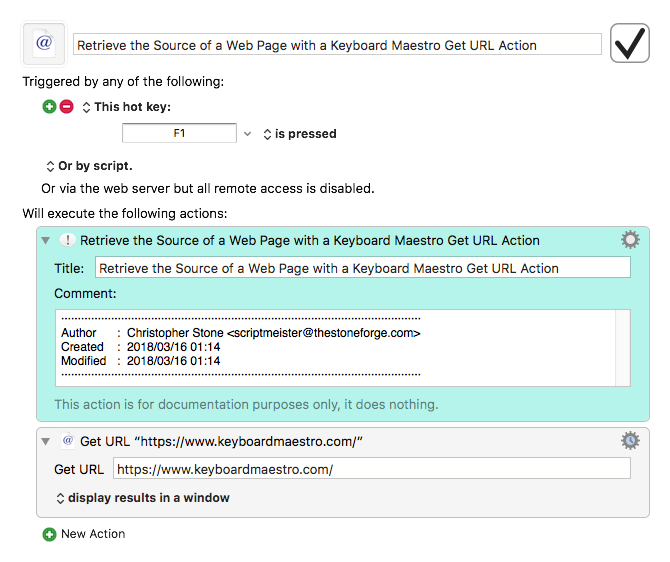 Up until Keyboard Maestro added its own Get URL action the most common method of scraping code off the web was to use the Unix executable Curl. 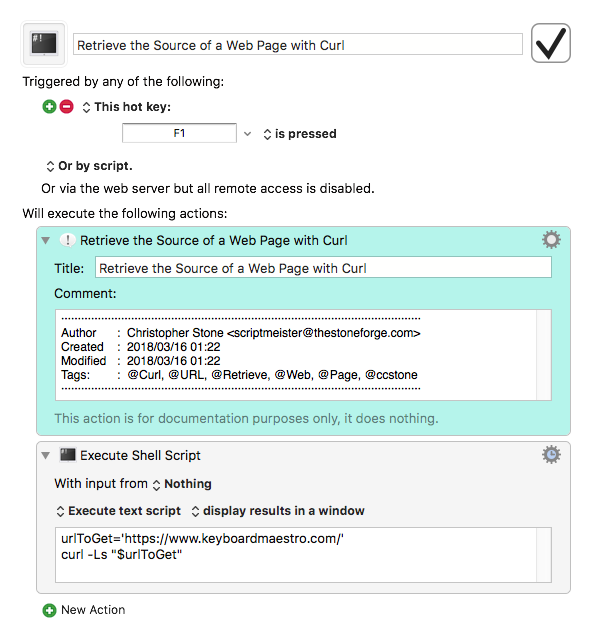 Curl comes stock with the macOS. How can I use NSURLConnection in Keyboard Maestro?